It’s 7:05 A.M. and I’m sitting at a Starbucks on the corner of Jones and Jefferson on a chilly morning. The fog is obscuring the top the Transamerica building and is diffusing the morning sunshine. To my right up the hill is this grand stone tower. To my left are the restaurants of Fisherman’s Wharf. The low rumble of a city coming to life is punctuated by a laughing seagull and is accentuated by strains of Bob Marley pouring out of the coffee shop speakers. I’m thinking of a conversation I had with Father Tob yesterday. Another Bishop has been elected by our brothers in Africa. This is the second election in as many weeks. Some reasserters are troubled by what seems to be more division within the American Anglican reawakening. A few reappraisers have seen this as a weakness, or even a fundamental flaw of the orthodox. One priest from Delaware has even insinuated on his blog that this is a sign that CANA, NAAC, et al will be little more than isolated malcontents within the next few years. In the midst of this, the Lord gave me a mental image of Granite. Indulge me if I wax pedantic for a moment as we consider granite. 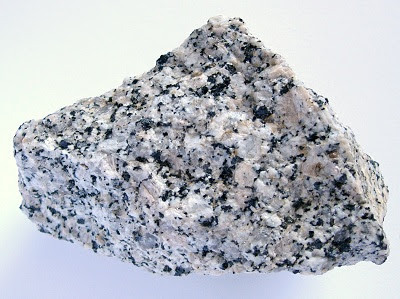 There are igneous and metamorphic varies of granite; I’ll speak to the latter. This strain of granite is composed primarily of quartz, mica and feldspar. All three of these minerals are igneous rocks, forged in the fires of the Lord’s creation opus. Somewhere in the process, these minerals were cast back into the fire and emerged as granite. There’s much to be observed concerning granite besides its fiery origins. Unlike sedimentary rocks that bend and fold to the assaults of time, tide and weather, granite stands unmoved as if in defiance to these factors. But this same granite will yield to the hands of the sculptor as it is shaped into works of beauty. The rock that laughs at the maelstrom, submits to the master. Perhaps the Lord in his providence is taking various churches, each forged in some level of tribulation, and bringing them together into something that is greater than the sum of its parts. Only time will tell.